Looking for a more out- of-the-ordinary sink for your bathroom? 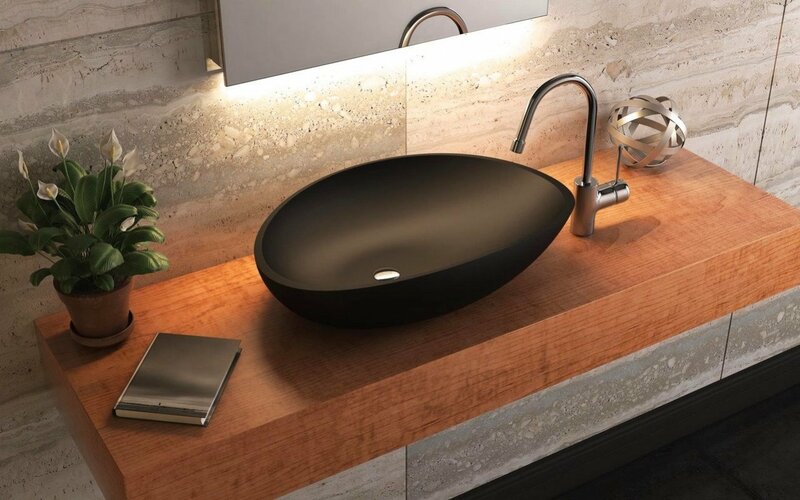 Lotus is it, a very Italian, architecturally honed sink which interprets an organic oval shape in a very modern, sleek and striking way. 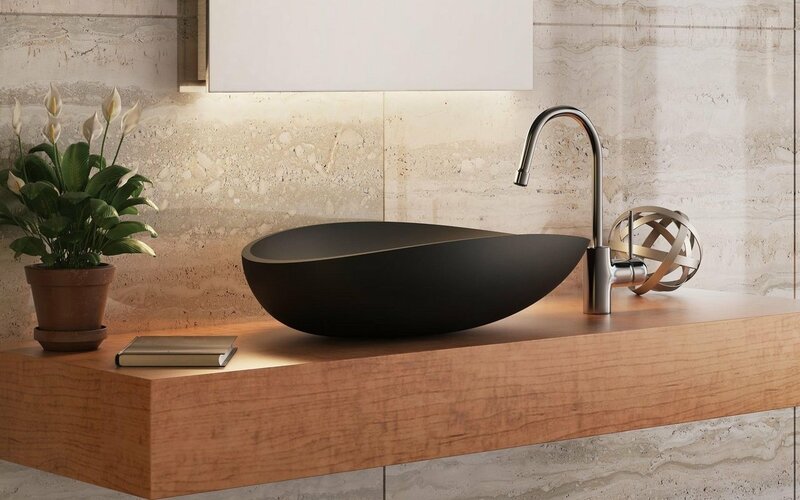 The design seems inspired by shapes from nature – a seed husk perhaps, crafted in beautiful matt solid composite AquateX™ into a unique, streamlined basin, elongated to a tapered point at one end with a wider rim. The front and back of the sink lightly undulate to capture the sense of poised movement. Lotus is available in durable, easy clean solid white or black color and can be purchased with an optional Euroclicker stone sink drain in white or black finish.